On a recent visit to Martha’s Vineyard, I was browsing through the books inside the A Bunch Of Grapes bookstore in Vineyard Haven, when out of the corner of my eye, I spotted it. It was a large coffee-table sized book with the title, Jaws – Memories From Martha’s Vineyard. Being a longtime Jaws fanatic and knowing that much of the movie was shot on Martha’s Vineyard (and in the waters off the coast), I began poring through the pages of this gorgeous 296-page masterpiece of a book. I was only 15 when the film was released, and looking through the pages of this exciting new Jaws book took me instantly back to those teenage years, not to mention the incredible heart-pounding suspense of Steven Spielberg’s seminal film about a Great White Shark that wreaks havoc on a busy, beach community and just won’t go away. The pictures of the making of the film are absolutely riveting, like this one of a young Steven Spielberg filming one of the attack scenes from the front of the bow of the Orca, the boat that eventually tracks down the Great White Shark in the film. Hundreds of locals had to be hired as actors, extras, production assistants and laborers. And the book includes eyewitness tales and tidbits along with interviews with many of the Islanders who participated, many of whom became movie actors for the first time in Jaws. Also interviewed in Jaws: Memories From Martha’s Vineyard: Jaws Production Designer Joe Alves, Screenwriter Carl Gottlieb (who also acts in the movie), Location Casting Director Shari Rhodes and many more. The book features countless stories about Bruce, the first name of Spielberg’s attorney and the name given to the mechanical shark(s) that were used to create the special effects, back in the days when directors like Steven Speilberg insisted on shooting on location with as much authenticity as possible. When Jaws premiered, it set just about every box office record and became not just a blockbuster of a film, but a part of movie making history. Plus it made “going in the water” an unnerving endeavor for quite some time. Now all of the memories of the making of Jaws have been compiled into one huge coffee-table book (the book’s website features the warning: You’re Gonna Need A Bigger Coffee Table. Indeed, this is being called the greatest “making of a film” books ever compiled. The book is available in two formats, a softcover version and a special signed and number “Limited Edition” hardcover copy that also includes a DVD and an actual 1″ by 1″ piece of the Orca II, used in the film. This is truly a must-have book for any fan of the film Jaws. As temperatures continue to soar into the 90s and higher, this book is a tremendous way to revisit a time and a place long ago. 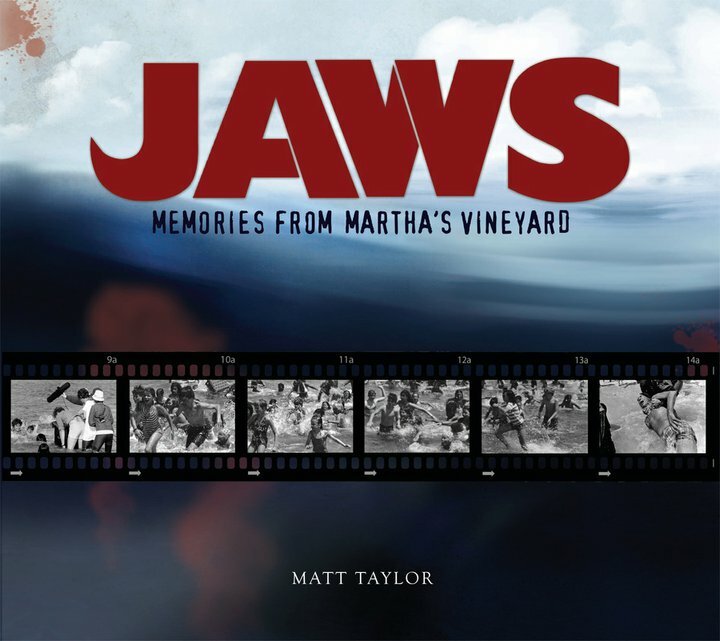 All you have to do is buy the book, and then simply find yourself a nice cool spot where you can “really sink your teeth” into Jaws: Memories From Martha’s Vineyard. He was like a family member. And like all family members we fool ourselves into believing that they will never die. Even through sickness and surgeries and suffering and pain, we delude ourselves. We keep telling ourselves things like, “miracles can happen,” and “God will see them through.” We delude ourselves because the pain of considering the alternative seems so huge. And then some dark and lonely night you get the call that you’ve always dreaded. There’s no way to prepare yourself for it. You force yourself to breath. You place your hands on your head. You say it can’t be true. This person that you loved so much cannot be gone from this world. But it’s true and sometimes there’s nothing to do but cry. Clarence Clemons, the longtime saxaphone playing member of Bruce Springsteen’s E Street Band, passed away last night and E Street Nation today is mourning his passing and celebrating his life. People are gathered at the Stone Pony as I write this to help each other grieve. As for me, I was foolish in my thinking. I actually believed that Clarence was a force larger than life and was indestructible. I believed that despite poor health, despite countless operations on failing hips and knees, despite the painful recuperations, despite the stroke that he suffered a week ago…despite all this, I believed Clarence would survive. I refused to believe otherwise. I’m still not sure I fully have accepted it.I guess it’s called denial. 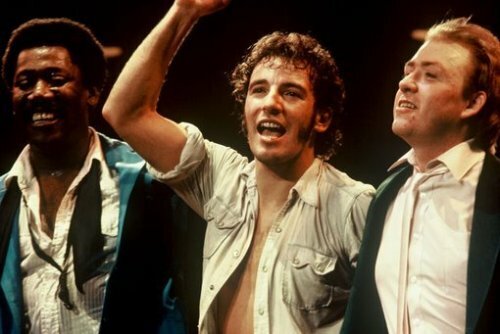 Every time I went to see Bruce Springsteen and The Legendary E Street Band perform, I smiled and laughed to hear Springsteen’s trademark, incomparable, built-up description and introduction of Clarence Clemons. So how could I believe that death would ever touch Clarence Clemons? Bruce’s exaltations were more than a show-biz bit. It was Bruce “testifying” to how much he believed and how much he loved his friend. How could we, as fans, ever believe that Clarence Clemons was anything but indestructible? And now he’s gone, gone, gone. 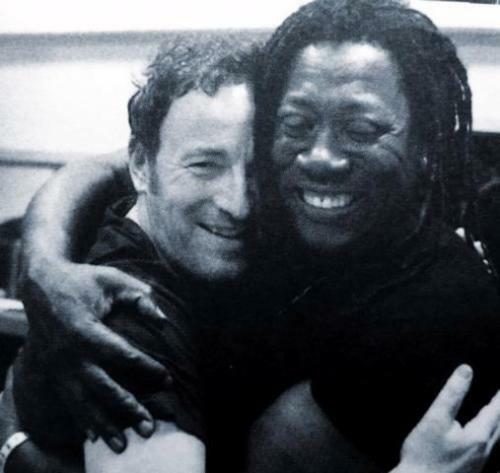 When the news broke that Clarence Clemons had suffered a stroke, Bruce Springsteen rushed from Europe to be at The Big Man’s hospital bedside in Florida. Bruce Springsteen stayed with Clarence all week long, through the good days when it seemed like Clarence was doing much better to the darker days, at the end of last week, when Clarence’s condition began to worsen. It’s also been written that Bruce was with Clarence all day yesterday, with his close friend, playing music with his children until the end. Wow. If the news of Clarence’s passing is difficult for fans like myself to accept, one can only imagine the grief that is being experienced by Clarence’s original family, his closest friends, loved ones, longtime band members and, perhaps most painfully, by Bruce Springsteen himself. To them, I send my deepest condolences. Last night, Bruce issued this statement on his official website (www.BruceSpringsteen.net). Since the news leaked out around 8:00 last night, people from all over the world, of all ages and backgrounds, people who were his friends and people who barely knew his name have been flocking to Twitter, Facebook and Springsteen discussion boards, like Backstreets.com/BTX to offer condolences, to grieve and to celebrate Clarence’s life and his music. In 1988, I attended the Human Rights Now! concert, in Philadelphia. Bruce Springsteen and The E Street Band were the headliners and before the concert I attended a press conference at the downtown hotel where all the band members were staying. After the press conference, I had time to kill and, as luck would have it, I happened to bump into Clarence in the hotel lobby. I walked up to Clarence and thanked him for all the many years of happiness that his music had given me. I remember the huge smile on his face as he shook my hand and said, “No, I wanna thank you for being a fan and coming to our shows.” It’s a moment I’ll never forget. Later that night, Bruce unexpectedly called for the band to play Jungleland. Drummer Max Weinberg says the expression on Clarence’s face when he realized he would have to once again perform that taxing sax solo was priceless. But he nailed it. Perfecto! That night Clarence, still in pain from all the surgeries and other ailments that were wracking his 69 year old body, moved gingerly and had to sit for parts of the show, just like he had to for most of the last couple of tours. You could tell that his days of touring were numbered, but nobody really wanted to admit it to themselves. And now that this very spiritual man has made the passage from this world to the next, it is hard to imagine not ever seeing Bruce and Clarence onstage together; hard to imagine not ever seeing Clarence play the Jungleland solo or any other song; hard to imagine an E Street Band show without Clarence. But I’d rather not think about that now. Instead, I’d prefer to celebrate the life and music of Clarence Clemons. Ashes to ashes and dust to dust, but Clarence’s spirit lives on forever in his music and the joy he brought into the millions of hearts around the world. Not bad for a guy with a saxaphone. As Bruce Springsteen said last night, Clarence Clemons loved people and that made people love him. That’s a lesson that we should all take to heart. All of us who loved him will always miss Clarence Clemons and perhaps we’ll get to hear that sweet saxaphone again in the next world. 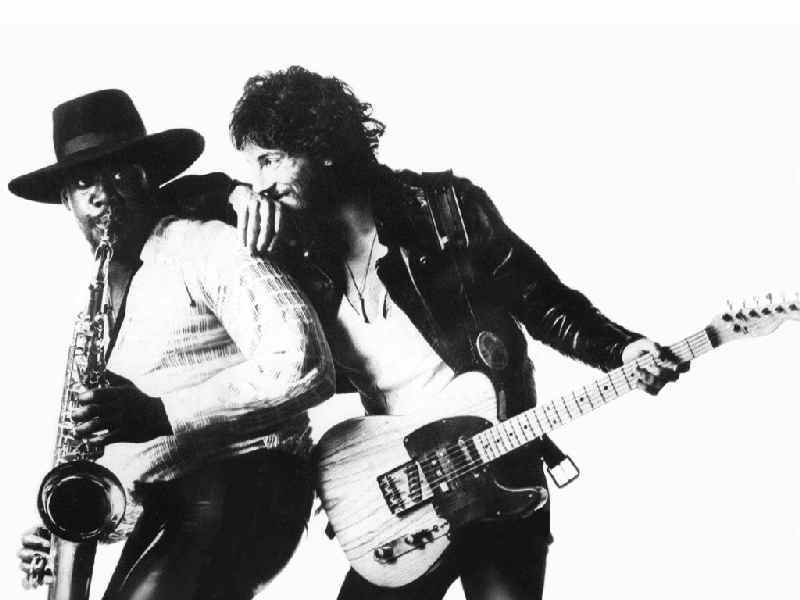 All I know is that we were all very lucky have had Clarence Clemons be such a huge part of our lives for so long. Sleep long and sleep well. Boston Bruins Win Stanley Cup!!! 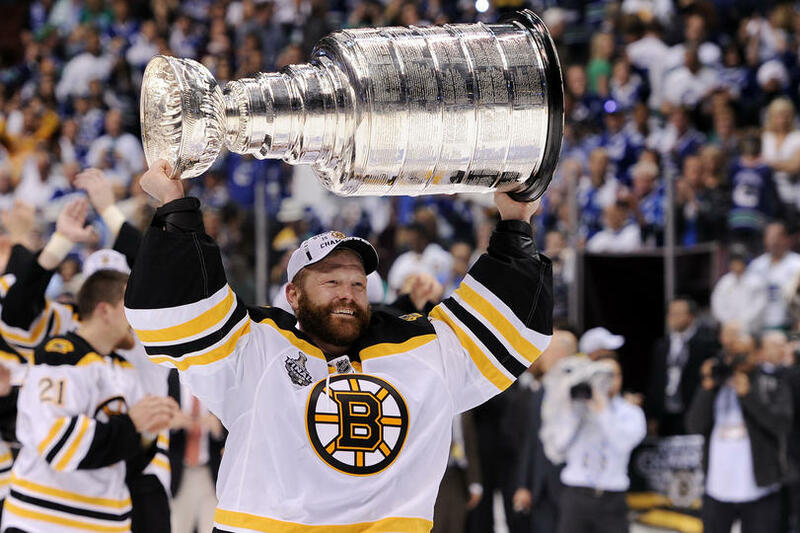 Congratulations to Goalie Tim Thomas and the entire Boston Bruins team for their Stanley Cup Victory last night in Game Seven against the Vancouver Canucks. 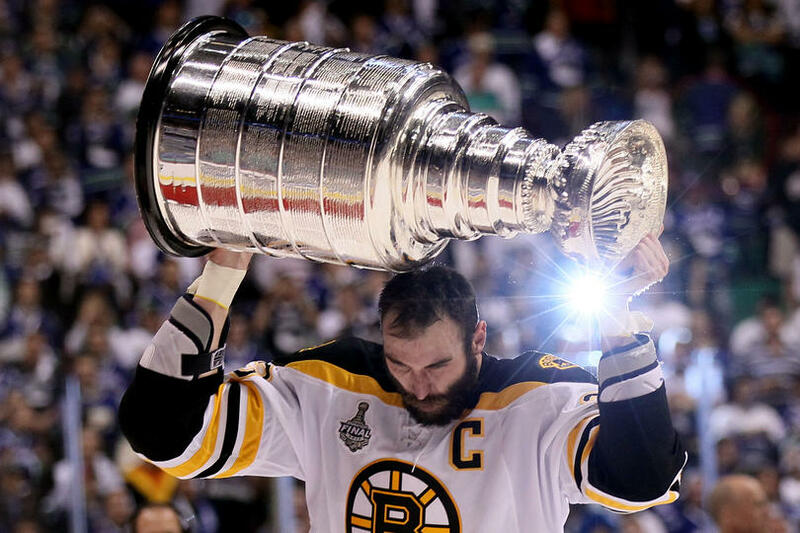 The Bruins had to win their third Game Seven of the 2011 Stanley Cup Playoffs to capture the holy grail of hockey. 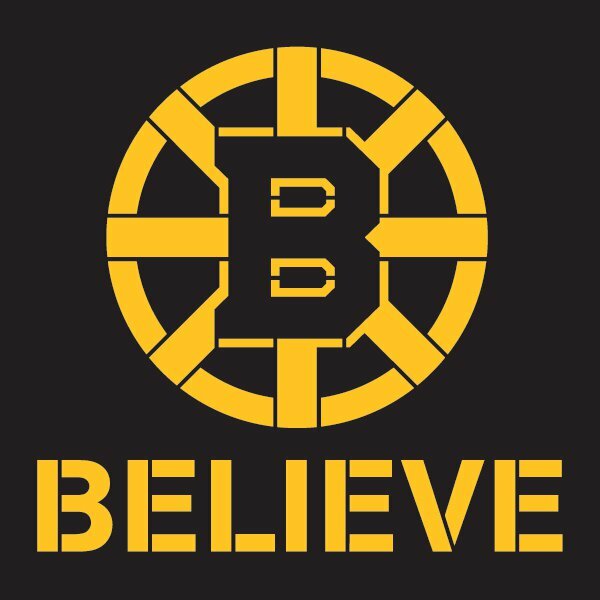 It was the first time in 39 years, going back to 1972 and the Orr/Esposito era, since the Bruins went all the way!!! For me, it was one of the happiest sports moments of my life and as I celebrated over the phone with my sister Patricia (or Patty Cakes, as we call her) and my lovely fiancee, Janet, all I could think of was that my father must have been smiling somewhere and taking in all the glory. I stayed up until 3:30 in the morning listening to Sports Talk Radio and even got through on the phones to deliver my congratulations to the Boston Bruins and their fans. I wish so badly that I could be in Boston for the Bruins Duck Boat Parade. In the end the Bruins won with heart and with skill, with toughness and with agility, with grit and talent – just like the Big, Bad Bruins of old. Again, congratulations to The 2010/2011 Boston Bruins on their Stanley Cup victory. Whooo-hooo!!!! This one’s for you, Dad. So it all comes down to tonight’s Game Seven. The Boston Bruins have gone 40 years without winning the Stanley Cup. Tonight they could win it all. But they’ll have to do it on the road. The Boston Bruins have now played more than a hundred games in one season in their quest for hockey’s holy grail. And now they need one more “W” in Game 7 in Vancouver. 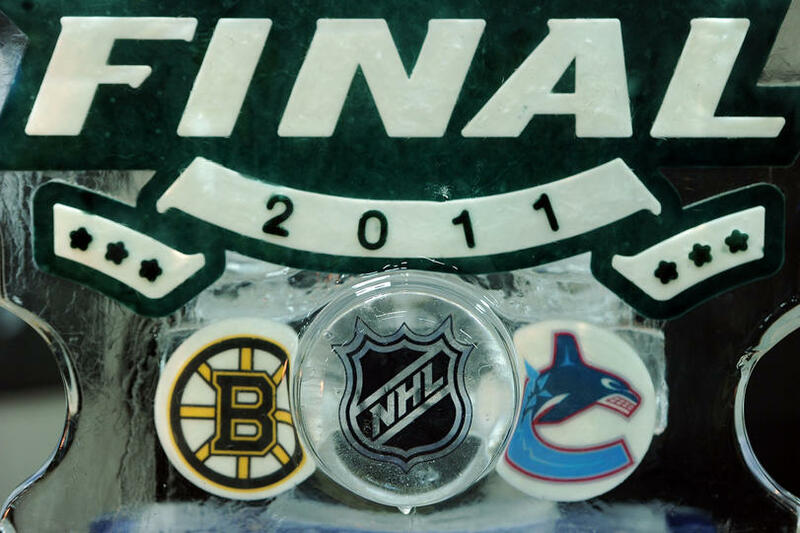 Tonight the 2010/2011 Boston Bruins will play on the other side of the continent in the Canadian city of Vancouver. They’ll be playing for all the fans who have followed the Black and Gold through the years. But who also coached, and served as President and assistant General Manager and who served as Banner Captain before Game Six..
Just one more win. That’s all it will take for the Boston Bruins. 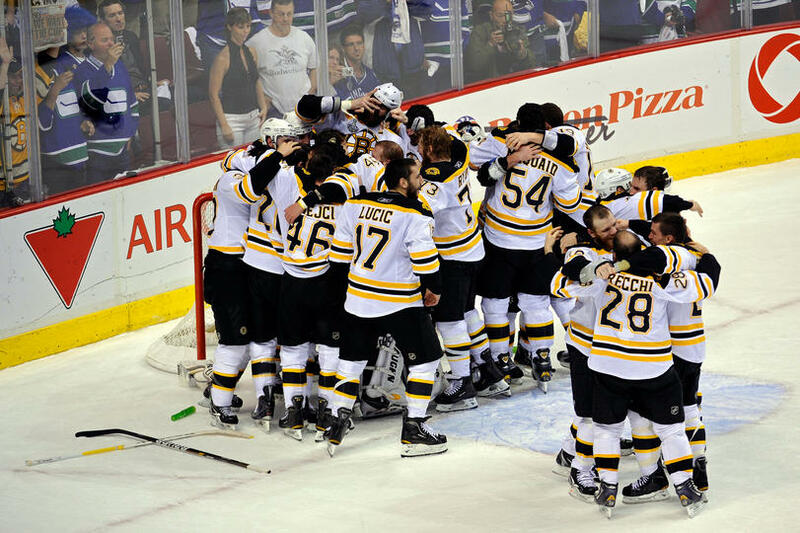 Last night the Boston Bruins tied their Stanley Cup final series against the classless Vancouver Canucks 3 games apiece. Now we must wait for tomorrow night. The first Stanley Cup finals game seven in the history of the Boston Bruins franchise (est. 1924). I’ve been watching the Boston Bruins, in their quest for the coveted Stanley Cup, for the last couple of months. And I could be wrong, but I swear I’ve been watching the games with my father. Which seems impossible, since he passed away away in 1989. But it feels that way. Let me explain. I’ve been a Bruins fan since I was 10 or 11 years old. With aluminum foil attached to the rabbit ears of our puny television set, I remember watching the Big, Bad Bruins on Channel 38. Through that often snowy, fuzzy VHF TV image I got my first taste of sports legends like Bobby Orr, Phil Esposito, Johnny “Pie” McKenzie and Goaltender Gerry (Cheese) Cheevers. My father and I would watch pretty much every game that was televised, enthralled by the end to end rushes by a Bobby Orr and that incredible scoring machine named Phil Esposito. When the Bruins scored we’d jump to our feet and hoot and holler. When they’d fight we’d yell at the TV, as if they could hear us. For a kid like me, it was heaven on earth to watch the Bruins with my Dad. My uncle Fran was a Boston police lieutenant, who had the assignment on Bruins game nights to maintain peace and civility at the Boston Garden press entrance. This, my dear reader, was akin to having the key to paradise. Whenever we wanted, including during playoff games, my Day and I would scoot surreptitiously through the old turnstiles and into the old Boston Garden. Oh, what joy! So even when the games were sold out, we could get in. We didn’t always have a seat, but we could stand behind the last row of the first balcony. I’d often find a couple of seats and sometimes, if folks didn’t show up, we sat in the seats for the entire game. But for a 12 year old kid, just being in the building with such greatness was fantastic. I can remember going down to box seats near the ice before the games to watch the Bruins warm up. Now mind you, these were the days before helmuts, so we could get a really close look at our heroes. Orr, Espo, Ken Hodge, Johnny Pie, Wayne Cashman, Freddy Stanfield, Don Marcotte, and the rest. But mostly we watched Orr. With his shock of light brown hair, our hero was a sight to see in person. He seemed not to skate, but to fly around and around the ice during warm-ups. He skated faster and shot harder than anyone else on either team. And this was during the warm-ups. When game time came he was even more intense. 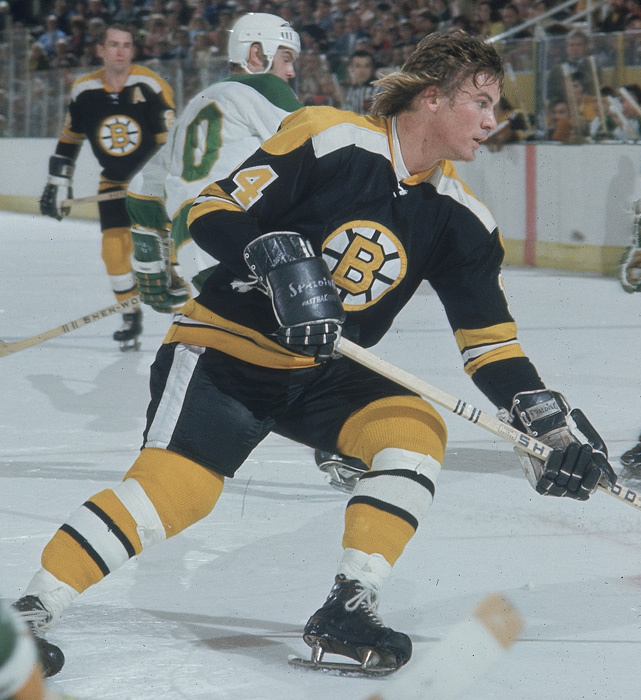 Night after night after night, Orr carried the Boston Bruins. He was dynamite on ice. He was the greatest hockey player ever. Period. My father cheered the Bruins on with an intensity that seemed to sometimes exceed that of the Bruins players. He was incredibly passionate about sports and it showed. When the Bruins would score, he would yell “GOAL!! !” so loudly and the sound seemed to come from deep inside him. It was a guttural sound of glee. In fact, it was so loud, sometimes I’d be slightly frightened by it. That’s how intense he was. And if there was ever a fight, he would holler just as loud. I remember one Bruins game we attended during which we found seats fairly close to the ice. 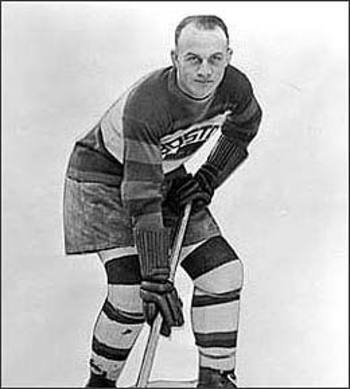 The Bruins were playing the rival, hated New York Rangers, with their star defenseman Brad Park. Orr, who was so tough nobody would dare challenge him to a fight, was bickering with Park all game. You knew something was brewing (Or Bruin?). Suddenly, near our end of the ice, Orr and Park dropped their gloves and squared off to fight. The refs let them go at it. The two star defensemen hammered away at each other. About halfway through the fight, my father, who was standing already, screamed out, “You get him, Bobby” and I swear to this day that I thought my Dad was on the verge of scaling the Plexiglas and jumping onto the ice to join in the fight. Ha ha ha. I was actually surprised, my Dad wasn’t ejected from the game, along with Orr and Park. Hard to believe that was 40 years ago. So many things have changed. I’m older now and have much less hair, and hopefully much more wisdom. The old Boston Garden was the victim of the wrecking ball. It has been replaced by a monolith of a building in the same spot with absolutely no personality, called the “new Garden.” Yeah, sure. And as I wrote, cancer stole my father’s chance to live to an old age. I still miss him all the time. But the game of hockey has basically stayed the same. 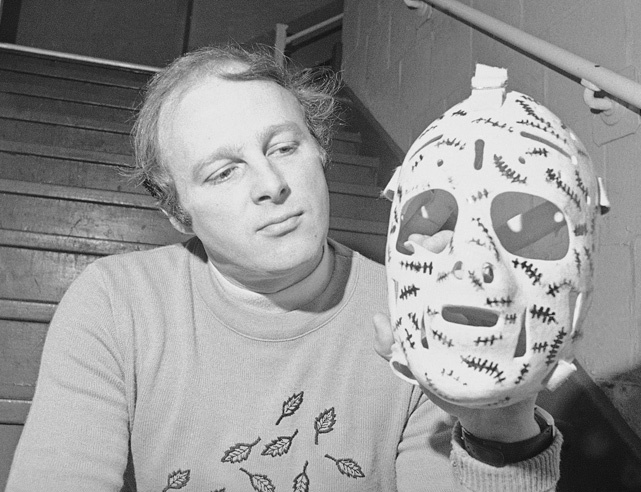 There was a fellow named Gerry Cheevers who used to mind the net for the Bruins. He sure was a character. Cheesy would mark his face mask with a magic marker every time he got hit in the face. 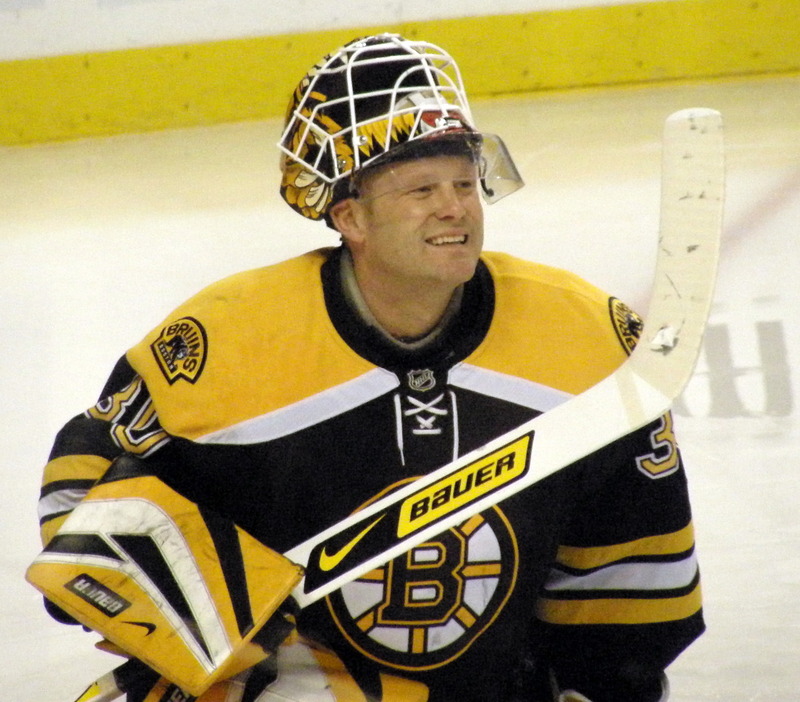 Now we’ve got another truly great goalie named Tim Thomas, from Michigan, who pretty much stands on his head to stop every shot that comes at him. He’s truly the best player on the ice every night. The names have all changes, but the spoked B still stands out proudly in Black and Gold. And tonight the Bruins will play one of the most important games since they first started playing 77 years ago. If they lose, they will have had an incredibly exciting, with a very sad end. And if they win, they’ll have another shot for the cup in Game 7 in Vancouver. Either way, I’ll be watching. And when the Bruins score (and hopefully they’ll score early and often), my father’s spirit will be sitting next to me, screaming his guts out, jumping in the air, throwing his arms out to me, in victory. Yes, in sweet, sweet victory. So, for my Dad, and for all the fathers and sons who have similar stories, let’s hope the Big, Bad Bruins win.